Premium Sports Scooter to Represent Yamaha Motor Brand in Vietnam, New Nouvo SX Model with Revamped Styling and Improved Functionality - News Releases | Yamaha Motor Co., Ltd.
IWATA, October 28, 2014 – Yamaha Motor Co., Ltd. (Tokyo: 7272) announced today that its new premium scooter, the Nouvo SX, will be released in Vietnam in November 2014. The Nouvo SX features a 125cc liquid-cooled, fuel-injected engine placed in a new body, delivering both a sporty ride and economy. While maintaining the excellent performance of the current model, the revamped exterior styling of the new Nouvo SX provides an enhanced sense of innovation and status using newly-designed LED position lights and coatings that exude class. The new Nouvo SX will be offered in three specifications, Standard, RC, and GP, with the RC and GP specifications improving everyday usability as they come standard with a multi-function remote control with answer-back system. The Vietnamese motorcycle market recorded a demand level of approximately 2.8 million units in 2013 (Yamaha Motor survey, 2013), of which, scooters comprised approximately 40%. It was Yamaha Motor’s launch of the Nouvo in 2002 that opened up this scooter category. The Nouvo series has seen constant evolution through capacity increases, the move to liquid cooling, and the adoption of fuel injection. Its strong riding performance and sporty exterior have been particularly popular with young men. 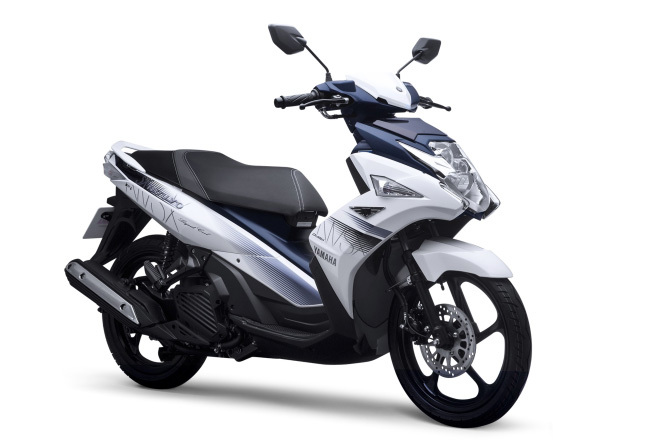 Even now, the Nouvo drives Yamaha's position as a top brand in the Vietnamese market. Through incorporating styling with a high-quality feel and user-friendly functionality, Yamaha Motor has increased the core Nouvo model's product appeal to broaden its user base beyond its previous target customers to a greater range of people. Product planning and development were both carried out by our R&D facility in Thailand, Yamaha Motor Asian Center Co., Ltd. (YMAC), and manufacturing and sales will be carried out by our Group company in Vietnam, Yamaha Motor Vietnam Co., Ltd. (YMVN).